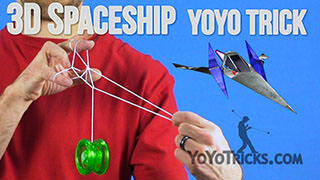 Throw the Baby yoyo trick video. 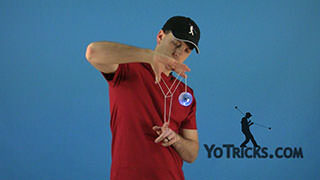 Throw the Baby Yoyo TrickOnce you’ve got Rock the Baby down pretty well, you can move on to a more advanced version of the trick. 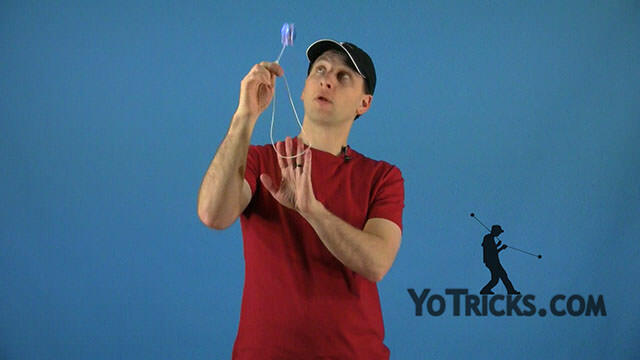 This one is called Throw the Baby out of the Cradle. 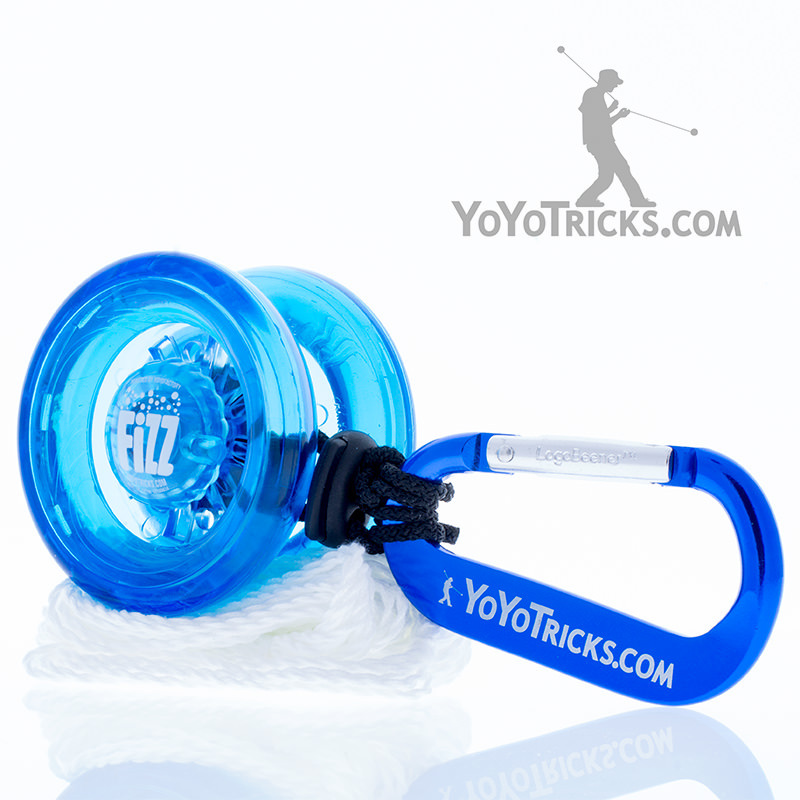 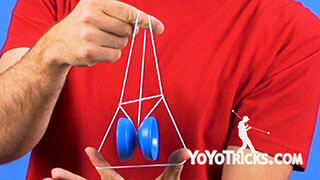 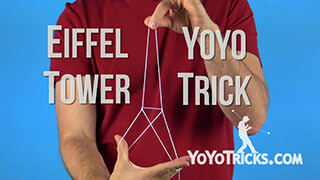 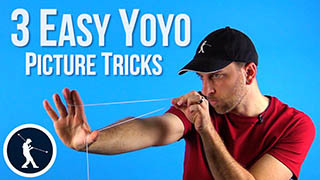 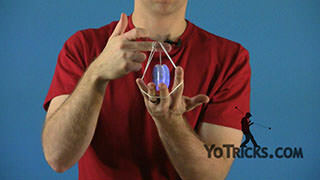 To practice this trick, just like any picture trick, you can let your yoyo hang down at the bottom of the string. 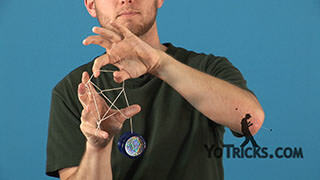 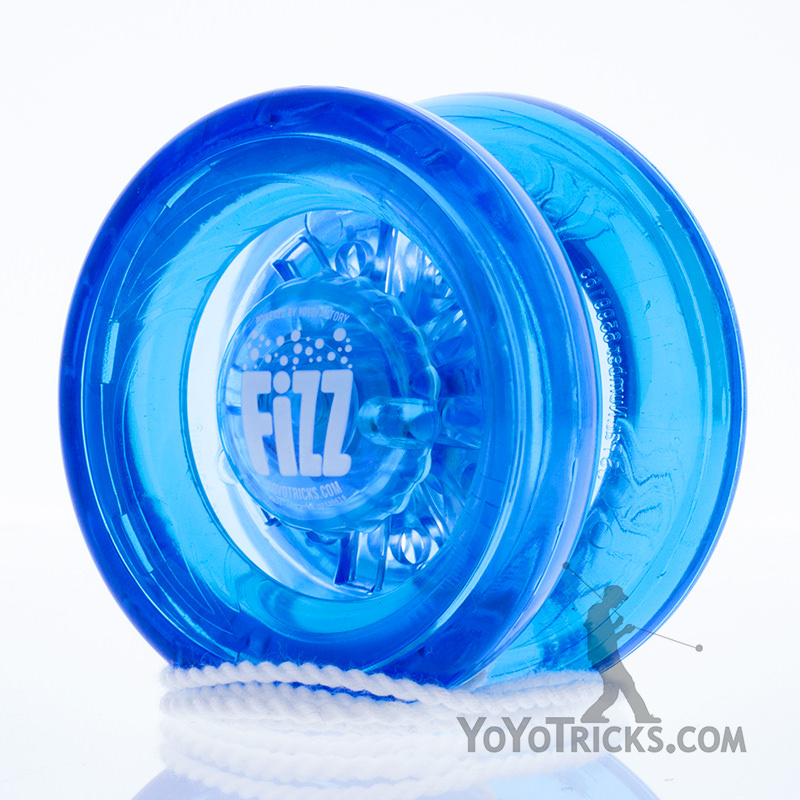 The first thing you want to do is make your basic cradle and then your going to pinch the string and kinda move your fingers out of the way above the yoyo, and you’re gonna swing the yoyo towards you. 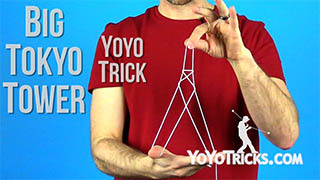 Then to release the trick you throw it up in the air. 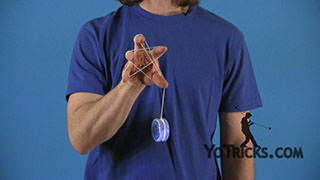 When you throw it up, the yoyo, if it’s still spinning, it will get the slack in the string and it will come back. You just want to catch it just like this. 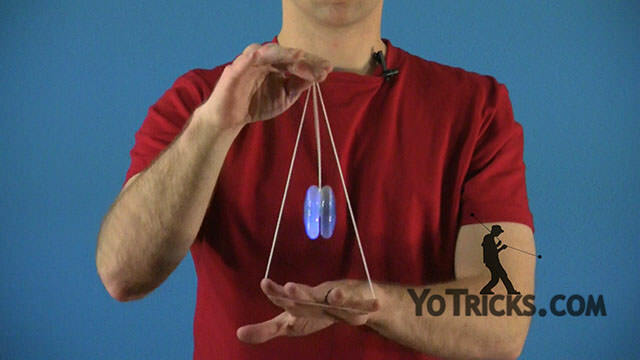 Once you’re used to the motion you can try it while it’s spinning. Just rock it… throw it… and just catch it. 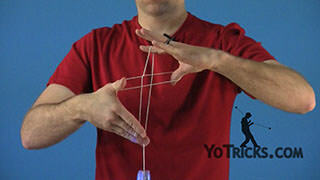 It takes a little while to get used to, but it’s a real crowd pleaser.